Every year before the Thanksgiving turkey has even settled, tens of thousands of medical professionals descend on Chicago’s McCormick Place for the largest radiology conference in the world. 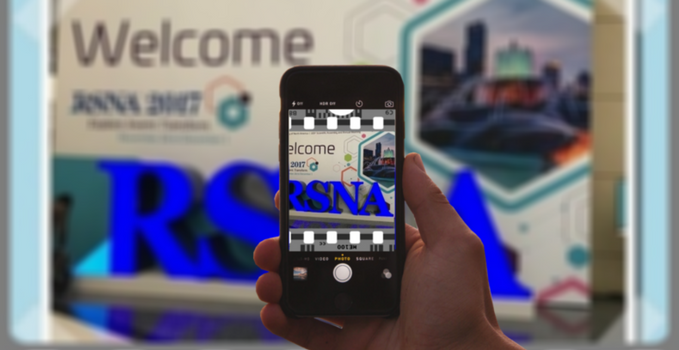 If you have never been to the annual Radiology Society of North America (RSNA) event, it is a sight to behold. Turn after turn, you run into extravagant booths highlighting cutting edge technology with live demonstrations aimed at catching your attention. While one vendor had a waterfall with the droplets forming their logo, another let you try on a set of augmented reality goggles, promising to be the future of surgery. And of course there was the host of shirtless men receiving live ultrasounds. Overall, RSNA is sensory overload. That’s why we at Purview try to keep things in perspective and remember that the most valuable aspect of RSNA is the people.